After breakfast this morning, we headed over to the park. 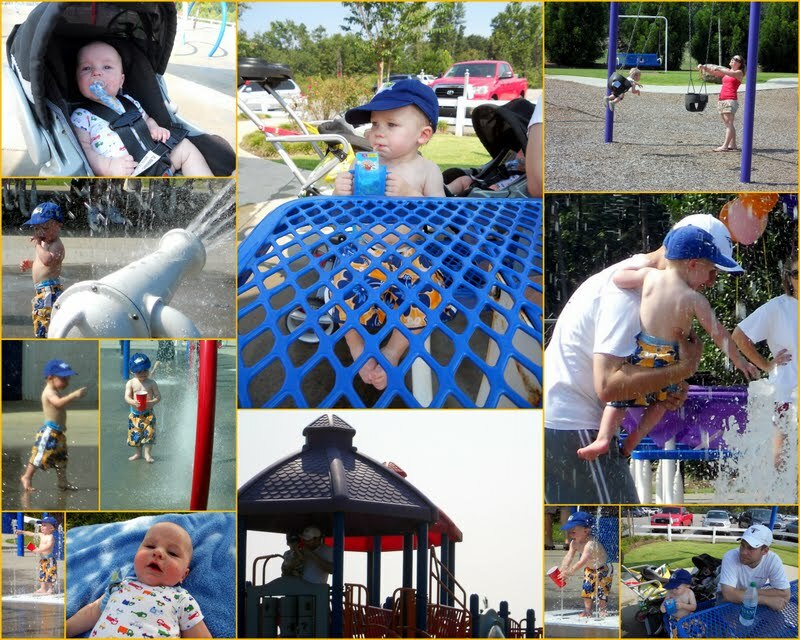 Andy played and played at the splash pad and on the playground - he loves it! Alex even enjoyed it! He would see some kid running by and he would laugh like it was the funniest thing ever. Then, of course, he fell asleep for a bit. We had snack time out here, too. And, Alex and I laid out in the shade. It was so hot out, but it was a lot of fun!